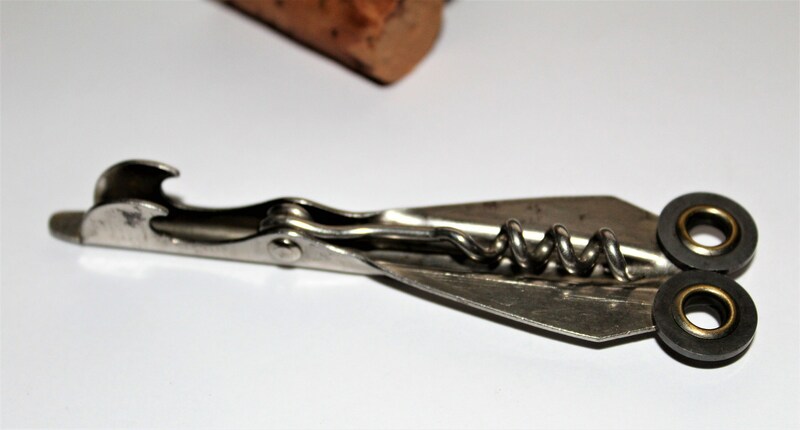 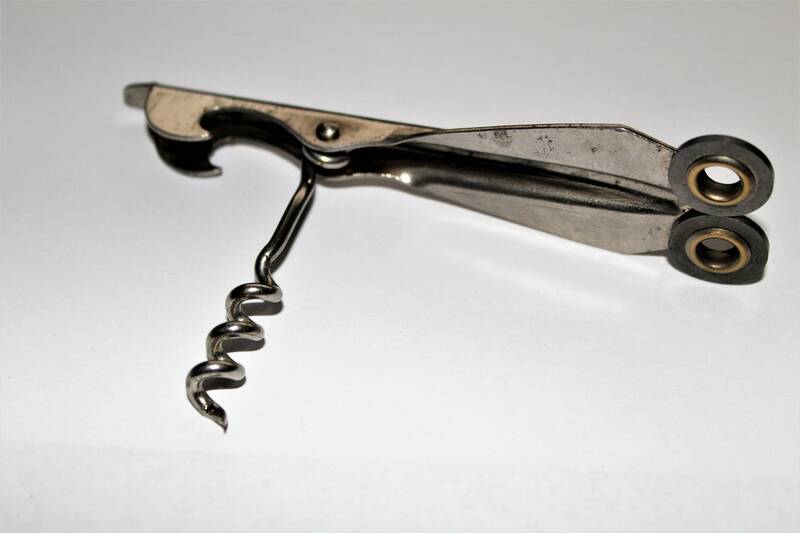 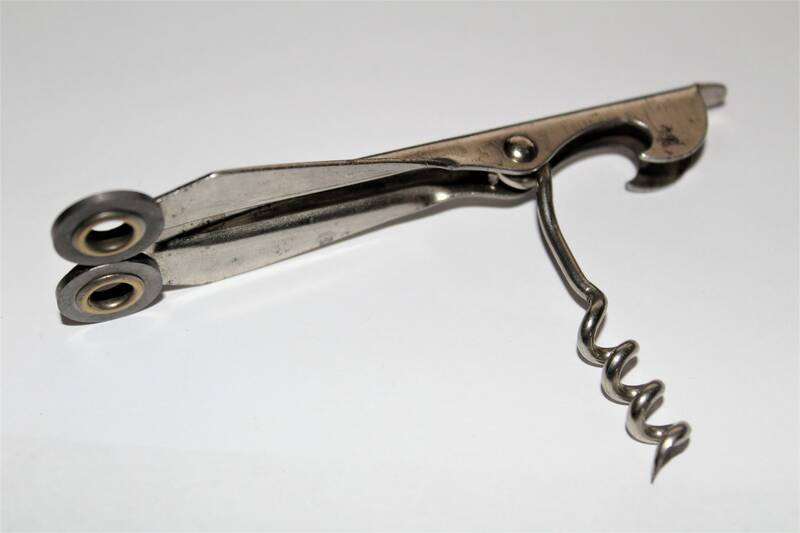 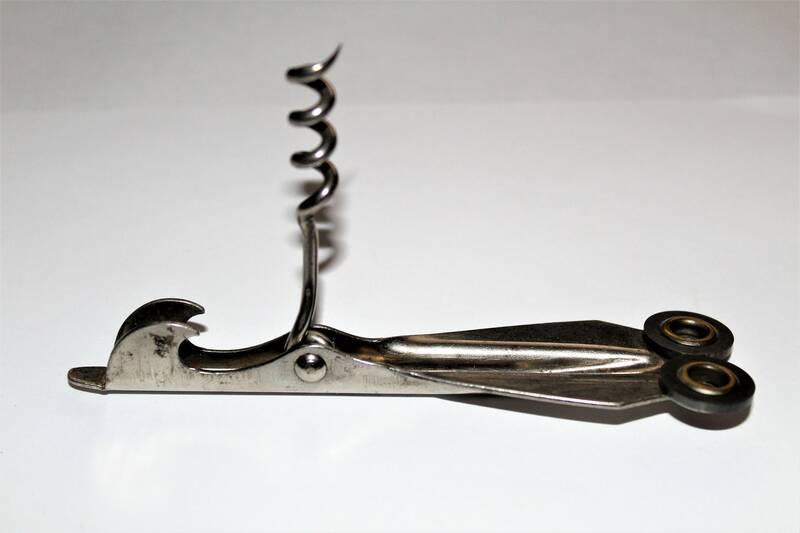 This unique combination tool features a knife sharpener, bottle opener, can lid lifter and a folding corkscrew. 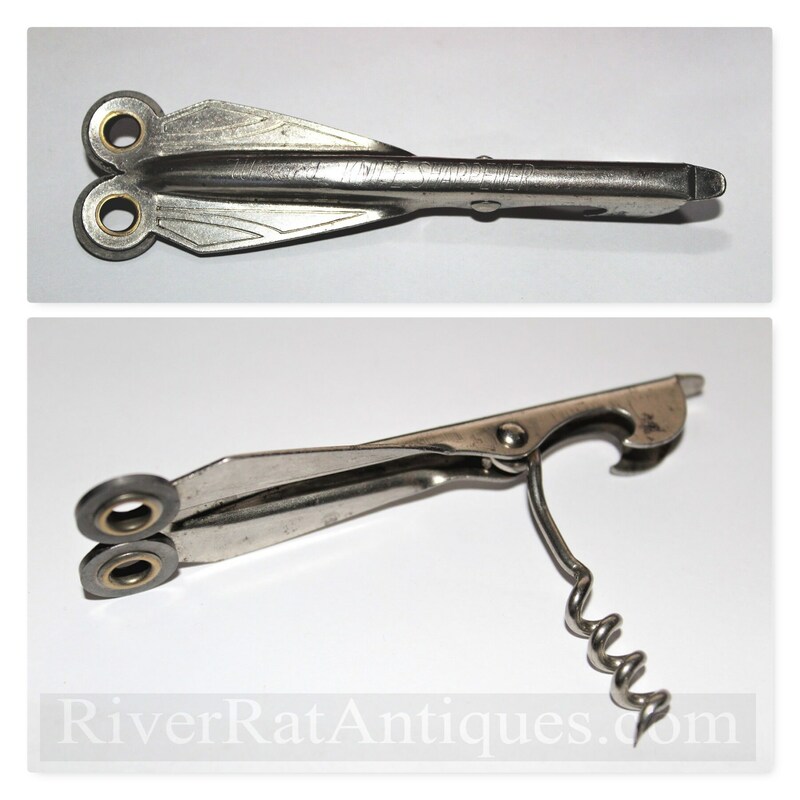 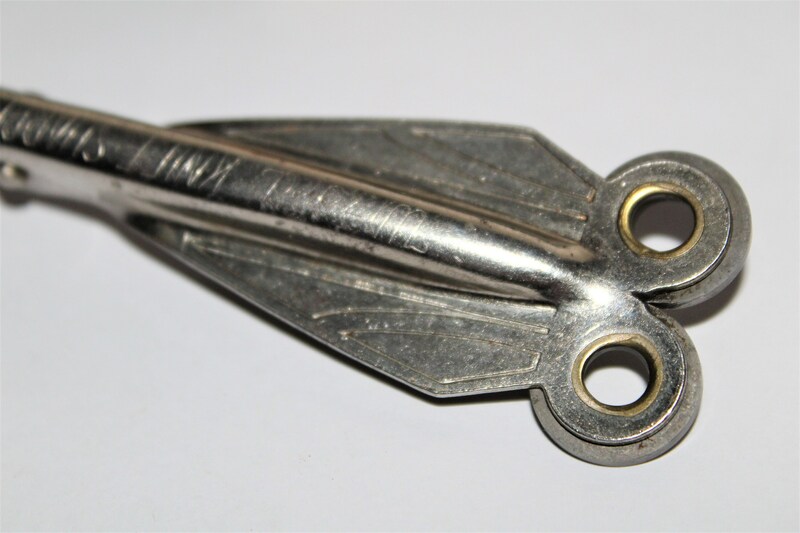 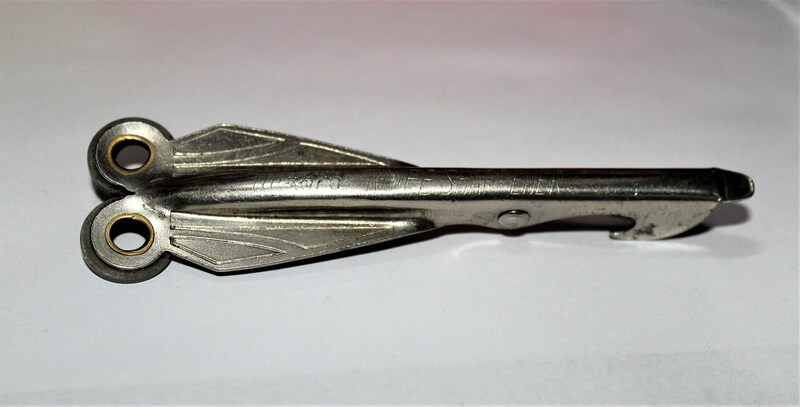 These are a nice little collectible multi-tool made in the 1930s they are usually found covered in rust this example is in wonderful condition. 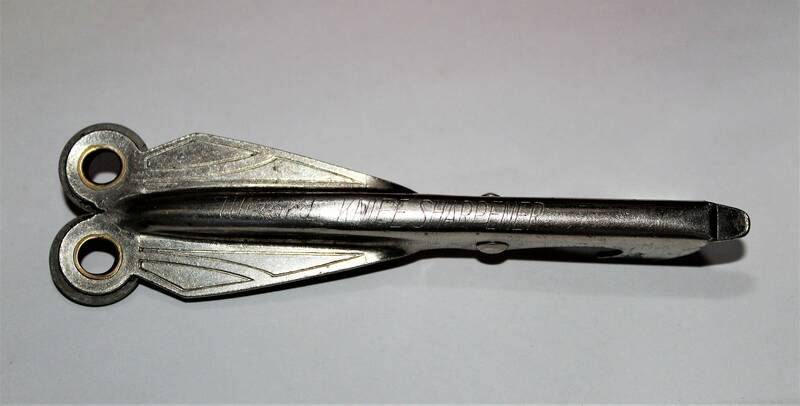 Condition: Very good used condition, small tiny dent by the name.